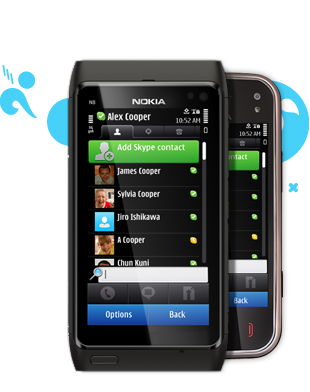 Skype have just announced a new version of Skype for Symbian, with a revamped user interface and support for Symbian^3 devices. 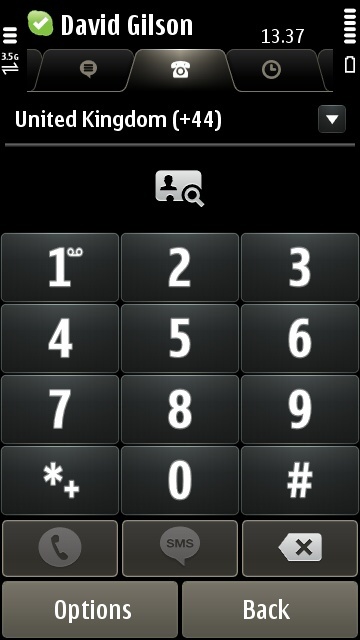 This new version (1.50 build 15) supports the SILK codec for higher quality calls. 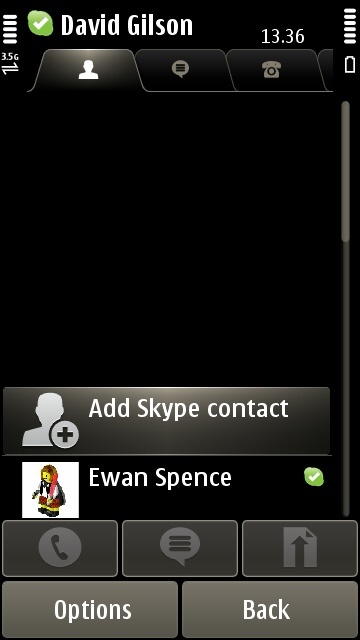 As part of the user interface update, Skype say they have improved support for larger screens, and made it easier to add contacts and photos, and make status updates. 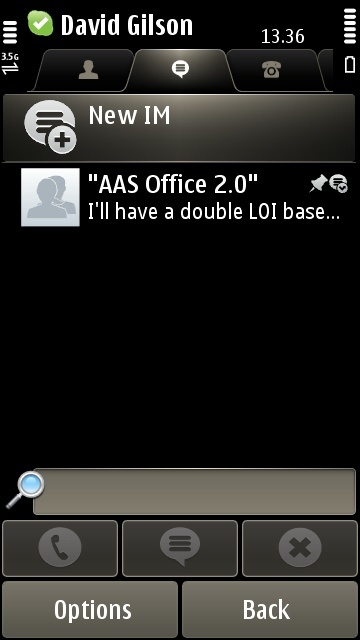 We have also noted the UI has new instant message notification pop-ups. Read on for screenshots and our initial test results. 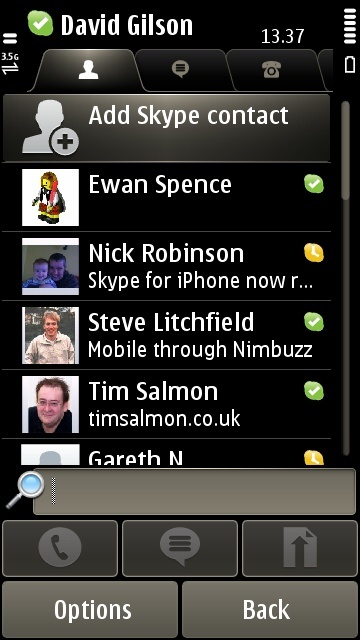 Here at All About Symbian, we’ve just conducted a test call with the new Skype on our Symbian^3 devices. The call quality was certainly no worse than a normal GSM/3G voice call, though more tests and data points are needed so please comments below with your impressions. Certainly the compression was noticeable for us, used to speaking using Skype’s desktop client on our computers through USB microphones. 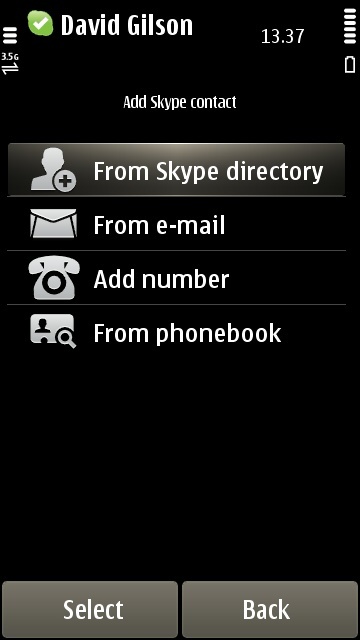 Also, it seems that Skype has some work to do on the hardware support. We found that when the handset was brought close to the side of our heads, as you would normally do with a phone, the proximity sensor doesn’t kick in and so the skin on your face can press buttons in the Skype interface, i.e. 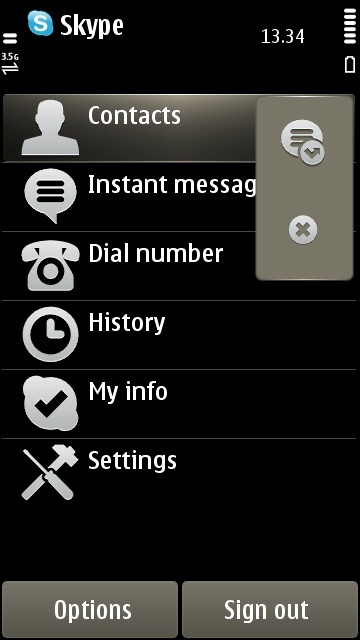 ‘Hold’, ‘Mute’, ‘Hang up’ and so on. It’s an unfortunate bug and one which will bite users the very first time they use the application. Do companies not test their apps anymore?